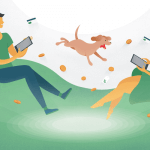 Search doesn’t just improve user experience, it also helps increase conversions and reduce abandoned cart rates. Users who search tend to have more purchase intent, making it more likely they will purchase the product if they can find it quickly. 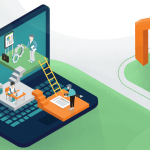 With the right search service, businesses can also learn more about what customers want by what they’re searching, information that can inform future business decisions. 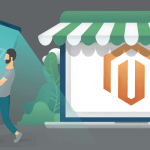 According to BuiltWith, Magento is the leader in ecommerce platforms, powering 13% of the top 10,000 online stores. 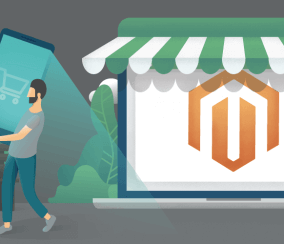 While Magento is a great platform to create a multi-functional and sleek store, the default search feature isn’t always best for stores, especially those with many products. 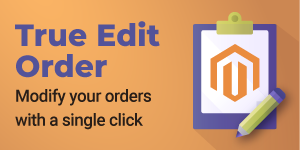 The default Magento search comes with a few ways of modifying search results, such as specifying whether to search for “like” terms or “full-text” terms, or a combination of the two. That’s about the extent of the out-of-the-box Magento search function. All of these search characteristics can greatly increase the chance a customer finds what they’re looking for and completes a purchase. What’s not to love about that? 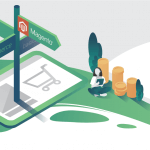 We’ve compiled a list of 6 Magento search extensions that include many, if not all, of these features. 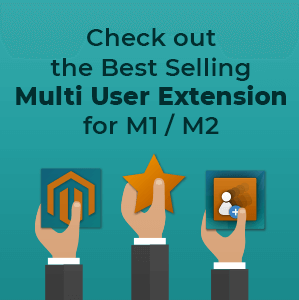 All extensions listed are currently compatible with Magento 1 versions. At the end of this article, you’ll find a handy comparison table to help make a decision about which search service to use. This extension boasts lightning-fast search speed, high relevancy, and multiple result sorting options. Store visitors will love the autocomplete and “did you mean?” functions. The search results page is also responsive and this extension includes analytics to understand customer search behavior. 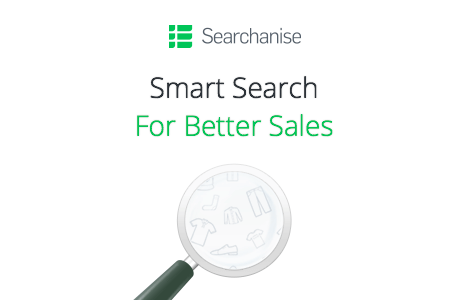 This search service is only free up to 250 products. After that, users can purchase affordable subscriptions for larger stores. This extension is powered by the Searchanise search service. It shows results instantly as customers search, autocompletes search terms, and tolerates misspellings. It includes search term synonyms, relevant products and categories, and special offers in search results. Search results even include a product image to help customers find what they want. 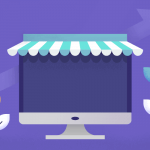 This search service is only free for less than 25 products, so it’s likely you’ll need to pay a subscription fee of $9-$54/month, depending on how many products the store has. 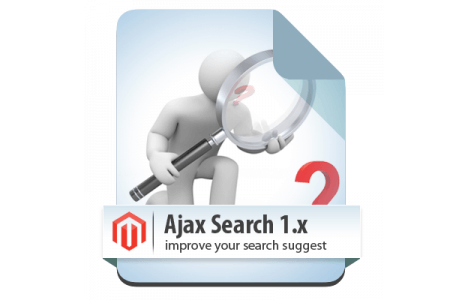 Ajax Search and Autocomplete is another extension designed to improve ecommerce store usability. It uses Ajax search, which can search by product attributes like SKU, description, price, etc. This offers a lot of different options for finding a product. Search results including products and product categories are displayed in real-time as the site visitor types. 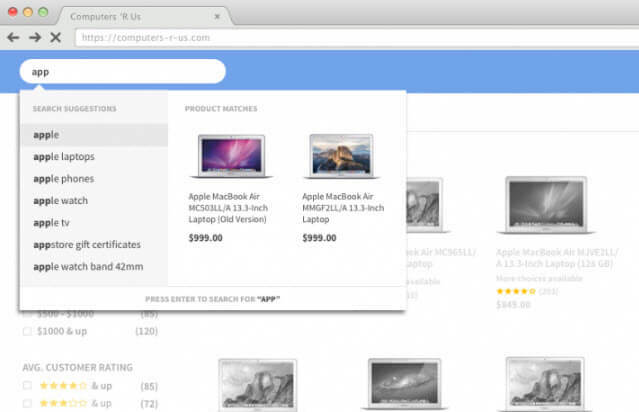 Businesses can also customize the search bar appearance to match store branding. 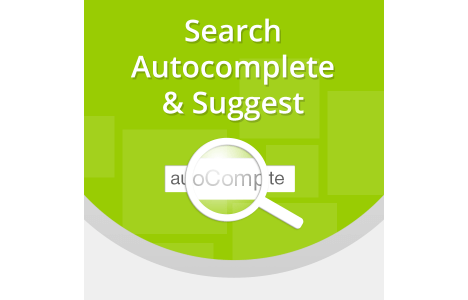 The Search Autocomplete & Suggest extension delivers relevant search results after three characters are typed. Results are shown as a dropdown list, so customers don’t have to navigate to a separate results page. 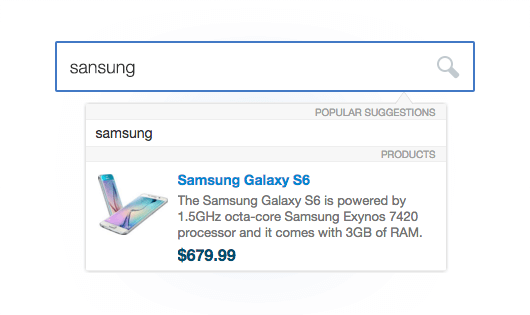 Potential customers can search by product attribute, suggested search terms, and tags. There are many ways businesses can customize the extension to adjust the search functionality. They can even exclude out of stock products from search results. This search extension uses the Sphinx search service to create a search experience that is highly accurate, relevant, and finds results from the first letter. 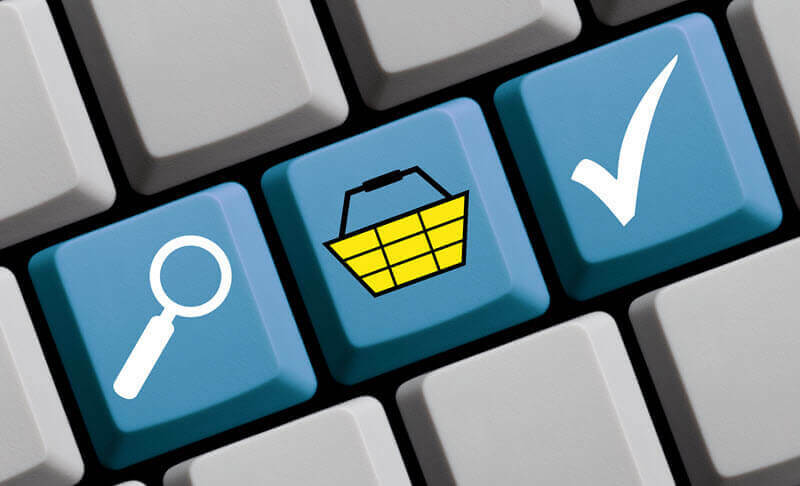 Potential customers can search product categories, tags, SKUs, and more. 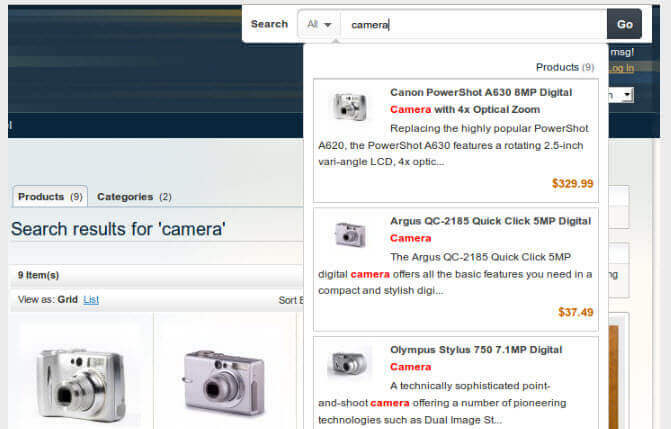 This extension creates a dropdown box of search results with product names and images. 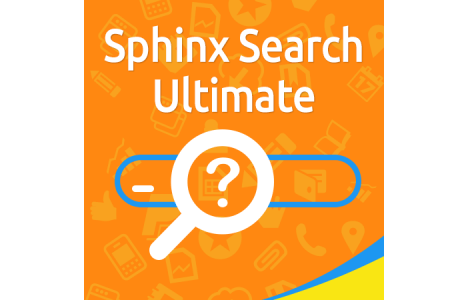 If there are no search results, Ultimate Sphinx Search offers suggestions. 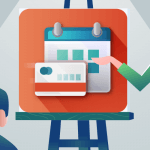 This extension uses Ajax to quicken the search process. Findify search creates a super fast search solution with features like autocomplete, misspelling tolerance, multi-lingual capabilities, and intelligent machine learning. This search engine is self-learning and can suggest relevant terms based on customer behavior. 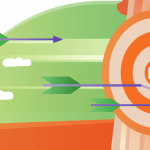 Businesses can also pin certain results to the top of search results to get ultimate visibility. 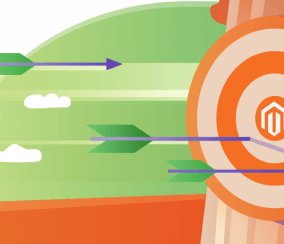 The great thing about Findify is it has been shown to increase revenue up to 30% through A/B testing. This means businesses can have peace of mind knowing this search service brings results. Another feature that sets Findify search apart is robust analytic capabilities. Businesses can monitor search activity using analytics built into the Findify service. Price: Free 14 day trial. 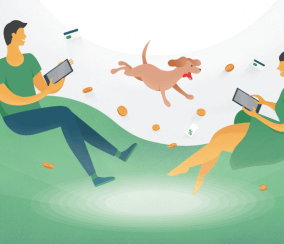 Businesses don’t have to pay for the first $100 in search-generated revenue every month. 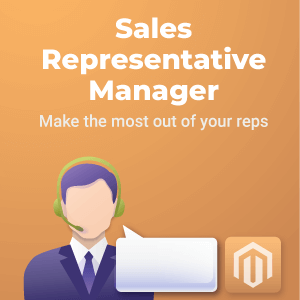 This list isn’t meant to be a comprehensive list of every Magento search extension available. It includes 6 of the most popular search extensions with robust capabilities. Many include similar features like autocomplete, misspelling tolerance, synonyms, and speed. 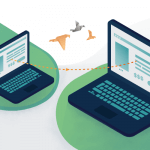 Beyond price differences, how is it possible to pick the best search extension? One feature that sets some of the search extensions, including Findify Search, apart is the search analytics. This has the potential to give a lot of useful information about what customers are looking for, what are the top searches, and terms customers are looking for with no results. 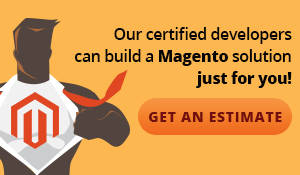 When looking for a Magento search extension, don’t underestimate the usefulness of this information. 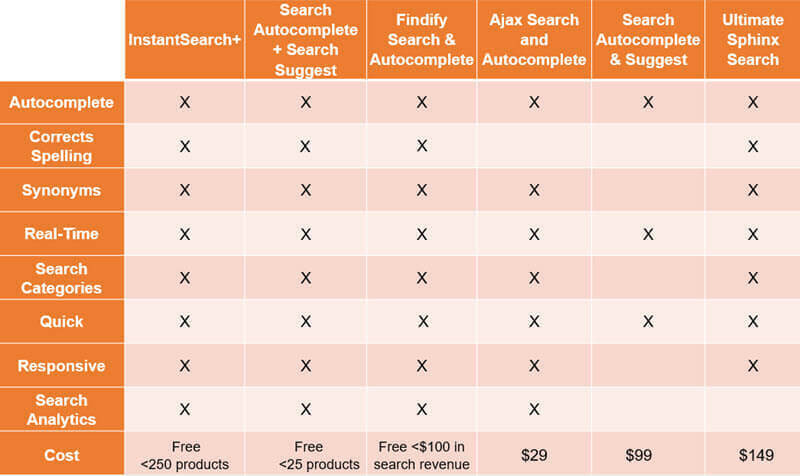 Choose one of these search extensions to replace the default Magento search and wish your customers happy searching! Oh, and watch for an increase in conversions. You’re welcome!